Projects — AJM Environmental Inc. Implementation of numerous EPEA‑regulated Wetland Monitoring Programs for SAGD developments in the oil sands region of Alberta. The multi-year projects included field activities such as hydrology, water quality and vegetation field programs and associated data analysis. In 2015, AJM analyzed all data collected since 2011 by various consultants and prepared Comprehensive Reports that integrated the multi-year data set into one synthesized document. In consultation with AER, AJM developed program improvements for future monitoring to improve efficiency, scientific rigor and consistency across Cenovus wetland programs. Client: Torxen Energy, international petroleum corp.
AJM has developed strong working relationship with clients as a member of their their development teams (e.g., development engineers, surface land, facilities, earthworks, etc) to handle the environmental and regulatory challenges with new energy development. Projects have included coordinating approvals (including, but not limited to, Water Act, Public Lands Act, Historical Resources Act, and Wildlife Act); providing updates to the development teams as to the status of environmental assessments and applications; conducting wetland, wildlife, vegetation, and archaeological field assessments; reviewing environmental assessment reports on clients’ behalf; and collecting and submitting environmental information for Directive 56 well license approvals. Complete field wetland assessments including delineation and classification according to the then Alberta Wetland Classification System. 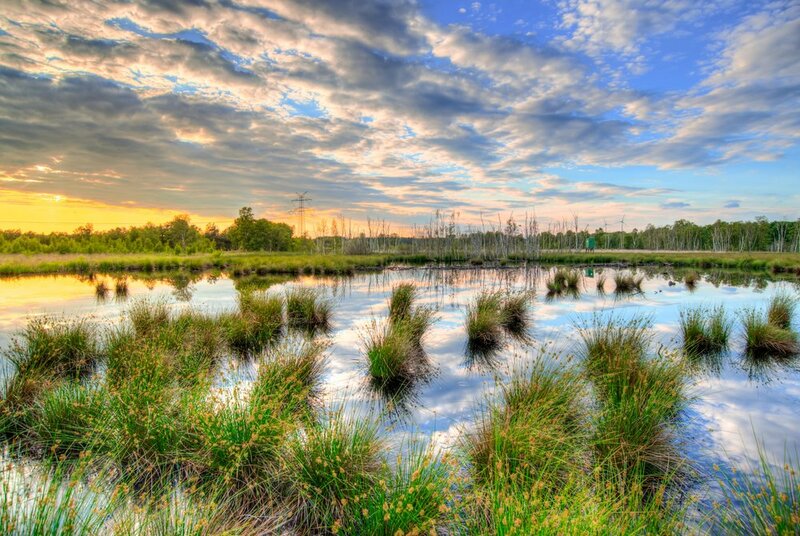 Complete wetland heath assessments and ABWRET-A documentation to support both Code of Practice for Pipelines and Telecommunication Lines Crossing a Waterbody, and Water Act approvals for permanent disturbance. Work with regulators through new wetland assessment and reporting requirements, and guide clients through the various assessment and regulatory changes. Since 2012, AJM has completed over 200 COP notifications for pipelines crossing wetlands, 40 Water Act applications for wetland disturbance, and assessed approximately 500 lease sites and tie-in pipelines for wetland-related issues. Design and implement a snake monitoring project for the Keystone XL pipeline in Albertra. Focus species are the prairie rattlesnake, bullsnake, and two garter snake species. Project includes study design, field assessment to identify hibernacula at three major river crossings, and the monitoring of snake populations one-season prior to construction, and for one season after. The objectives of the monitoring project are to quantify the effects, if any, of the Keystone XL pipeline construction on snake populations in the immediate vicinity of the pipeline and use the data to inform future construction design and mitigation strategies. Modified Harvest’s existing Wetland and Water Body Monitoring Program to be more in-line with industry standard. AJM was able to realize a decrease in the scope and potential cost of the monitoring program through a more focused data collection approach. Worked closely with the AER on the proposed modifications to the existing program to ensure buy-in from the regulator throughout the project.